102 Gray Lake Road, Old Forge, NY.| MLS# 1802769 | Benn Realty LLC -Since 1968, and now with offices in Old Forge and Remsen to serve you better. Charming Spacious Ranch home close to town! Completely refurbished in 1995. Boasting open floor plan w/ wood stove in the Living Rm. Upgrades include gourmet Kitchen w/ gas stove, dishwasher, & breakfast bar. 2 BR & 2 full BA as well as a bonus rm off master & fin. lower level w/ tons of storage. 2 car over/sized drive through garage is perfect for snowmobiling. Move right in! 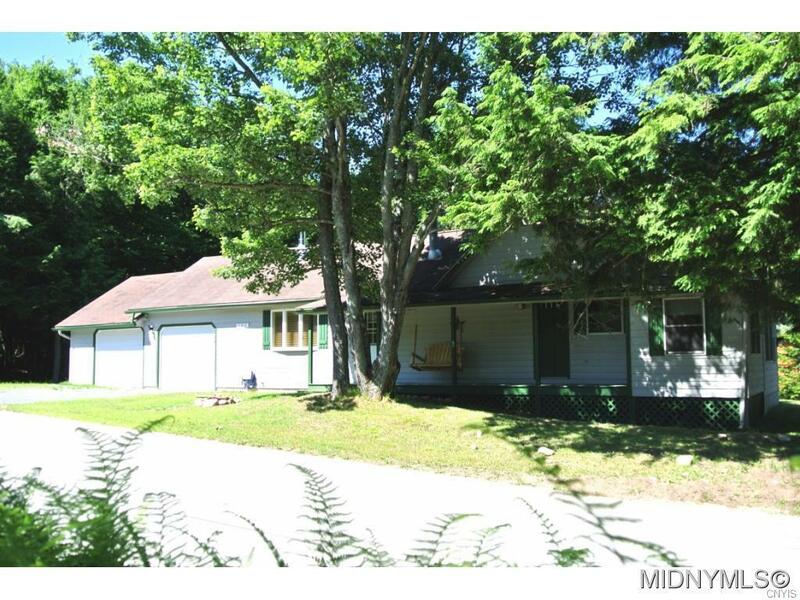 Centrally located just minutes from town, its just a short walk or bike ride to the beach or trail system & lakes. Directions To Property: From Old Forge. Take Lakeside Drive To South Shore Rd. Stay On South Shore Rd. For Roughly A Mile And It's Your First Home On The Right At Gray Lake Rd.